In Qatar, it is only allowed to raise a copter if you have previously obtained permission from the Civil Aviation Authority (CAA). According to the CAA, this authorization is currently only granted to residents of Qatar. 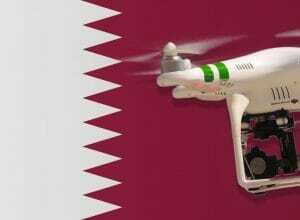 We have researched the listed drone regulations for Qatar to the best of our knowledge. We can not guarantee the correctness of the information. If you want to be on the safe side, please contact the competent aviation authority. Alternatively, you can also ask the embassy in your country for further information about the regulations. Please leave us a comment when you receive news and/or gain experience with your copter in Qatar! I would love to know if I could carry a drone in my luggage into qatar. I do not intend to use it in qatar but only in places where I travel for leisure. Please advise if you have been able to find an answer to this question. I am going to be in transit in 14 hours in doha and will be traveling with my drone. We had transits in Doha (without leaving the airport) a couple of times. So far, we had no problems. I expect that you can bring your drone to the country without complications.